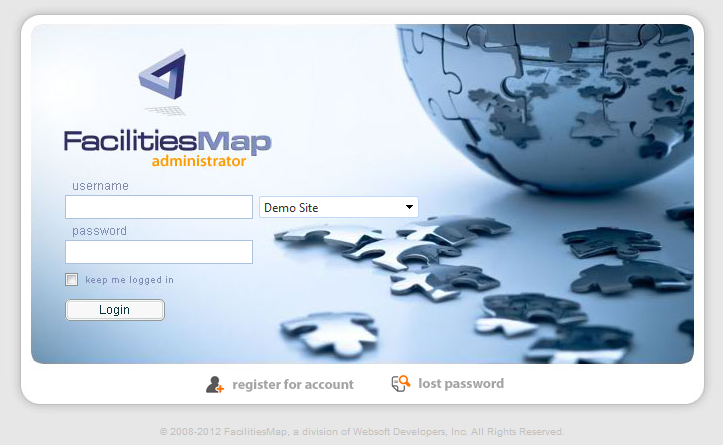 To access FacilitiesMap, the user must fill in the username and password used during the sign in process. In addition, the user should select the appropriate site from the site list (applies to hosted FacilitiesMap sites). A note about timeouts: the system will timeout after a pre-determined time based on the configuration. More information here.